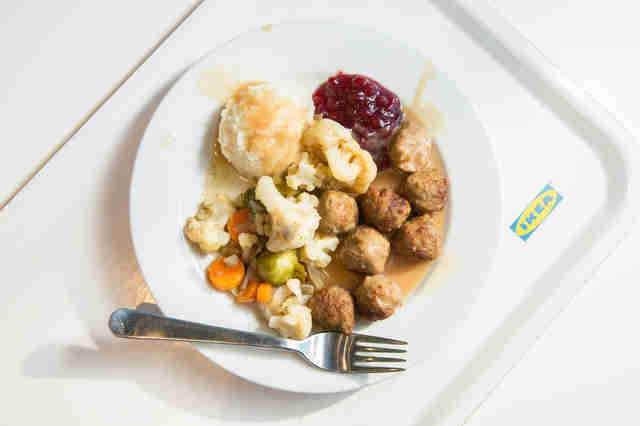 Good news for those of us whose trips to IKEA are at least partly motivated by the opportunity to hit the cafeteria and feast on Swedish meatballs and various other delicious menu items: the company may be considering creating its own chain of standalone restaurants featuring the Scandinavian-style bites its been dishing out in stores for years. According to an article in FastCompany, IKEA makes an incredible amount of money just on food. In 2016 alone, it served 650 million people in 48 countries, raking in a whopping $1.8 billion. In the beginning, having an in-store café was just a strategy to sell more furniture, according to IKEA's head of food for the US, Gerd Diewald, "because it’s hard to do business with hungry customers." 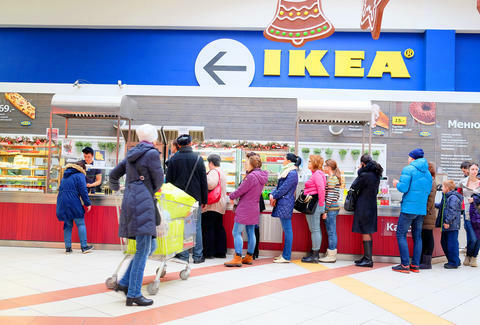 Now, though, 30% of IKEA customers are coming into stores just to eat. The company has already tested pop-up restaurants in cities like Paris, London, and Oslo, and is investing in the food part of the business by diversifying and expanding its already-popular menu, which now includes items like a $2 Swedish breakfast, stuffed chicken breasts, and racks of BBQ ribs, but there are no official plans in motion for the company to move into the standalone restaurant space quite yet. However, it appears to be at least mulling it over. As IKEA Food's managing director Michael La Cour told FastCompany, "I firmly believe there is potential. I hope in a few years our customers will be saying, ‘IKEA is a great place to eat — and, by the way, they also sell some furniture." Who knows? Next time you're craving a heaping portion of meatballs and potato fritters, you may not have to hike to the 'burbs and wait in line amongst the throngs of arguing couples to get your fix. Joe McGauley is a senior writer for Thrillist who isn't sure there is crueller punishment than being forced to visit IKEA on a Saturday.